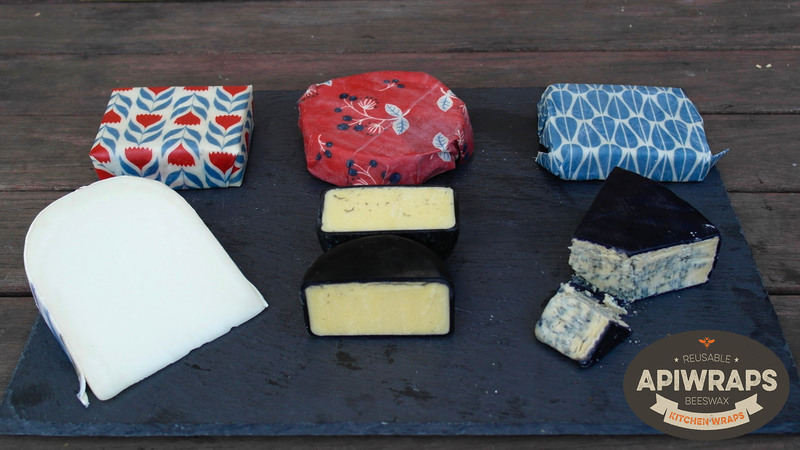 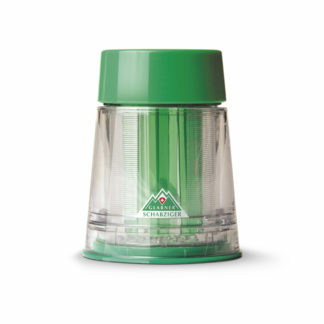 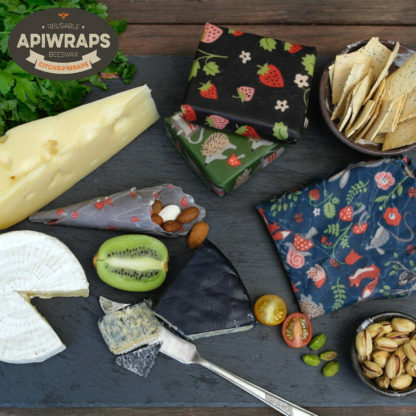 These eco friendly and reusable wraps are perfect for storing your cheese in the fridge or on the go. 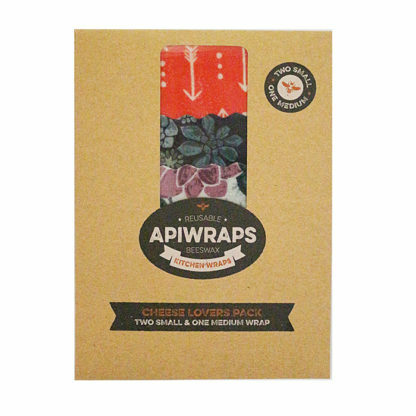 Made from all natural food materials: Beeswax, Coconut Oil and Pine Tree Resin on Organic Cotton fabric. 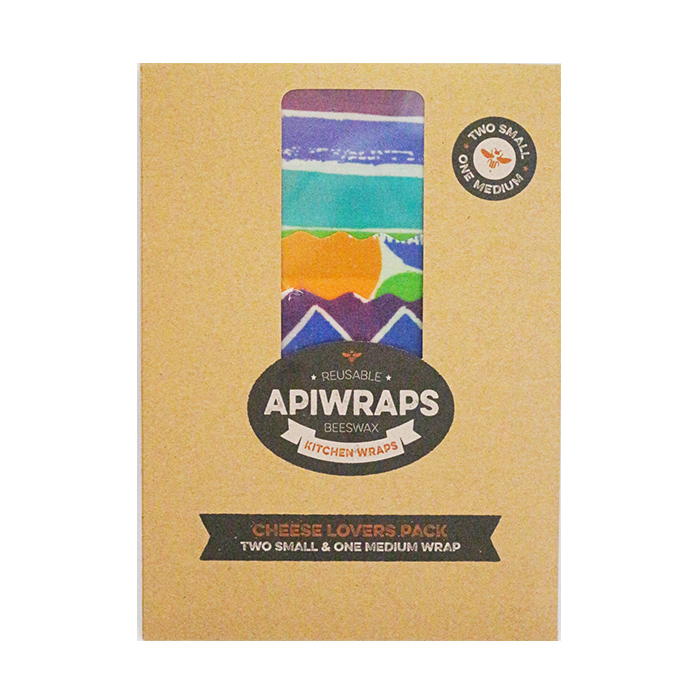 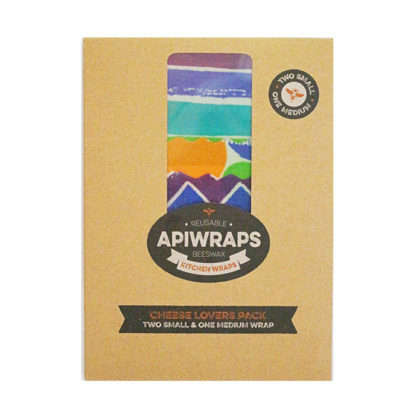 These wraps are perfect for cheese as they protect them enough, but still let them ‘breath’. 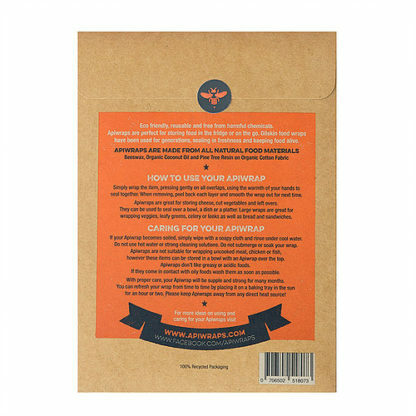 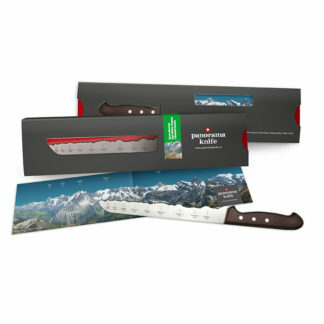 The cheese lovers pack comes with two small (15 x 20cm) and one medium (20 x 25cm) wrap.